If you have read some of our other blog posts, you know we’re huge advocates of “do it once and do it right.” This is because we have seen too many jobs go awry due to a step being missed during the paver installation process. This critical step is compacting the base. A proper compact will help maintain your project’s integrity,protect jointing material, and keep your outdoor patio or walkway looking sharp for a long time. 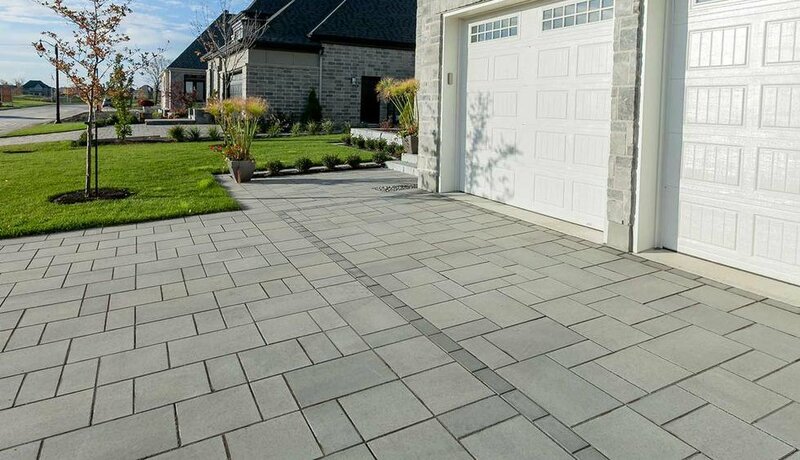 Interlocking pavers are made to be flexible, meaning that they will move, mold and mimic to any settling or shifts in the soil or base. If they are installed over an improperly compacted sub-base they are not going to stand the test of time. Weather: Freeze/thaw cycles can wreak havoc on a paver installation that was improperly compacted. Each void within the sub-base serves as a place for water to potentially settle. When this water freezes it will expand and cause the pavers to heave; when it thaws, the pavers will settle (but likely not evenly), eventually creating an uneven surface. Traffic: Driveway pavers that sit on top of poorly compacted areas will shift and compress over time. 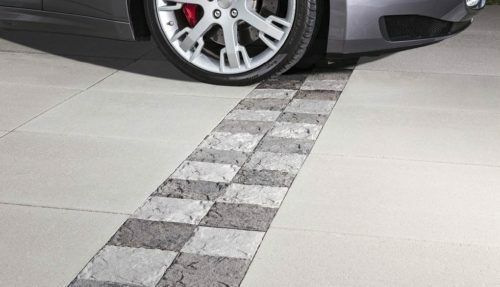 The weight of a vehicle will depress pavers into the weak spots, resulting in unattractive (and potentially dangerous) ruts and grooves on the surface. Joint Failure: While polymeric sand is designed to be self-healing and flexible, it will not perform as intended if it’s installed on an improperly compacted job. 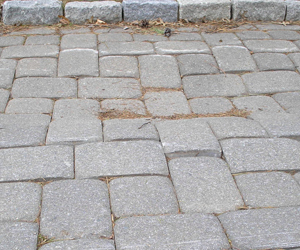 Radical shifting and movement of the pavers will eventually cause paver joints to crack and fail over time. As you can see the resulting compression and shifting of the pavers on an awfully compacted base will quickly lead to problems … many of which can lead to redoing the whole entire thing. So do it right the first time to avoid costly repairs in the long run. Have the proper base depth. The guidelines are to dig about 4 to 6 inches for pedestrian walks or patios and 8 to 12 inches for driveways. Use the correct base material. It is recommended to use a granular course stone 0-3 ⁄4″, otherwise known as “dense grade” for the base and to use concrete sand as the setting bed. Don’t compact material all at once. 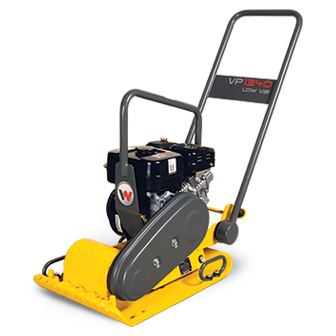 Most plate compactors will not compact any more than 4” of base. If you try to compact 6” of base, you will only compact the top 4” and the bottom 2” will settle. It is best to compact your base in lifts of 3″ – 4″. You can find dense grade, concrete sand, premium pavers, polymeric sand, and all the necessary materials needed to build a successful patio, walkway, or driveway at TLC Supply in Quincy, MA. Please visit our website to see even more hardscape and masonry products! The experts at TLC Supply are happy to answer any of your project questions, just leave your questions in the comments below!